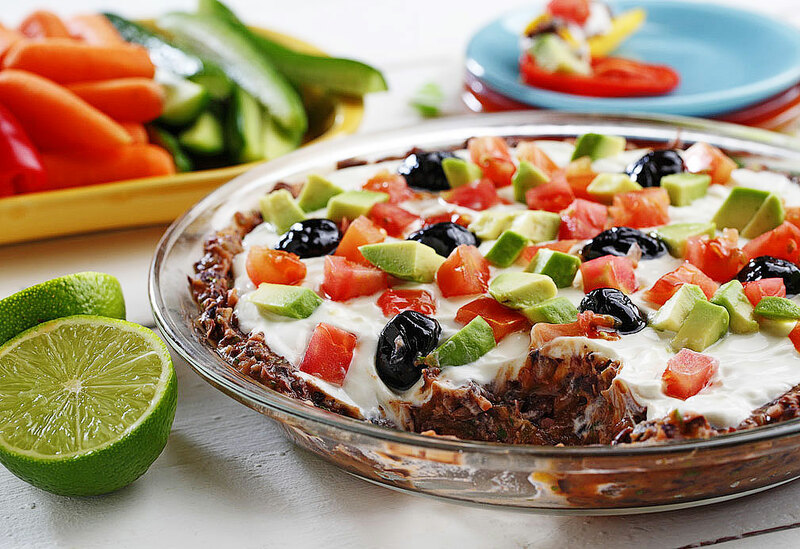 With this no-bake, colorful recipe, you'll never toil over the perfect potluck dish again! 1. 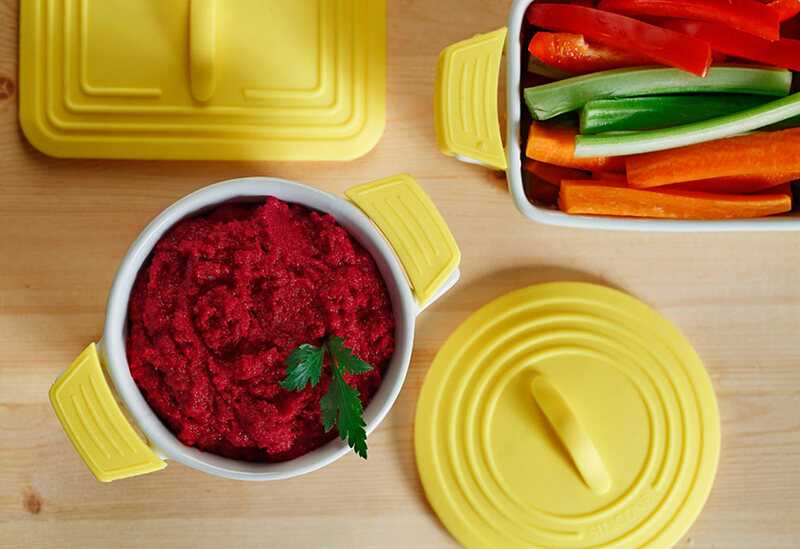 Combine beans, picante sauce, lime juice, canola oil, cilantro, garlic, and cumin in a blender or small food processor, secure lid, and puree until smooth. Place mixture in 9 inch pie pan and spread evenly over all using the back of a spoon. Top with remaining ingredients in the order listed. 2. Serve with variety of fresh vegetables for dipping, such as sliced cucumber, yellow squash, and bell pepper. 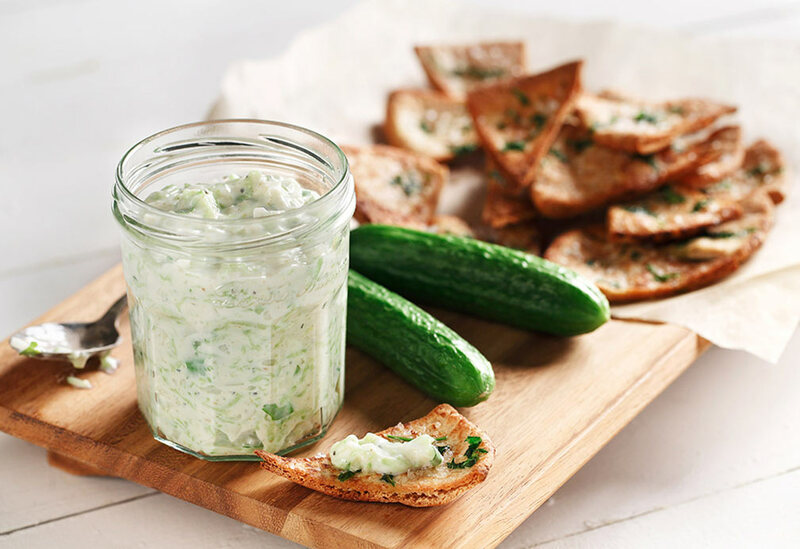 Garnish dip with sprig of cilantro. Tip: Adding the lime juice at the end prevents the avocado from discoloring. When tomatoes are in season and abundant, this is a tasty way of serving them as an appetizer.